YS: To take an example to extremes: a tree is planted at the time of Shenmue I, and 18 years pass by in real time; now with Shenmue III, it has grown taller. Or, in the garden pond there were 6 koi fish, but one month later they had bred and increased in number, and so on. I think it would be fun to be able to portray those kinds of changes. Expressing changes from the passing of time is one of the things I want to do in Shenmue. 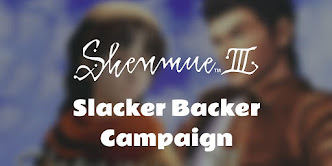 The extent to which I've been able to do that in Shenmue III... personally, I feel it's only a fraction. While I've been able to do things that I hadn't been able to do in Shenmue I and II, whether it goes as far as what I really want to do is a trickier question. Q: What would allow you to realize those ideals? For example, is it a question of enough time, or technology, or additional staff? YS: What I want to do is always the same. What I wanted to do 20 years ago, and what I want to do now is pretty much the same thing. It's just a matter of effort made towards what can be done at the time the within various constraints, you see. 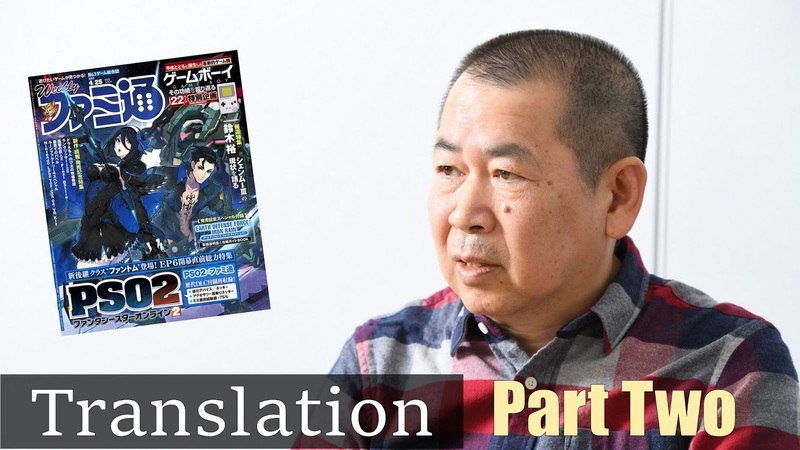 Note from Switch: technically this is the end of the interview, however for Part One I started the translation from part-way (for prioritization). The remaining section of the interview follows, in which Yu Suzuki talks about the latest trailer & shows off gameplay footage! 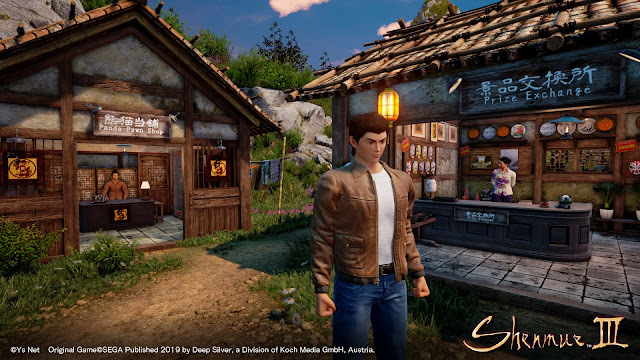 On 10th March 2019, at the MAGIC game event that took place in Monaco, Yu Suzuki of YS Net took to the stage to reveal the latest information about Shenmue III, including a trailer. For this interview, we had the chance to see, besides the trailer, a private showing of actual gameplay with Yu providing commentary about the game. The private footage depicted the beautiful Bailu village and combat scenes in abundance. In this article, we have recreated its appearance by choosing from among the already-released images ones that match closely. We want you to feel a touch of the game's system and unique atmosphere. Smiling and with a laptop under his arm, Yu Suzuki enters the YS Net conference room where this journalist is waiting. 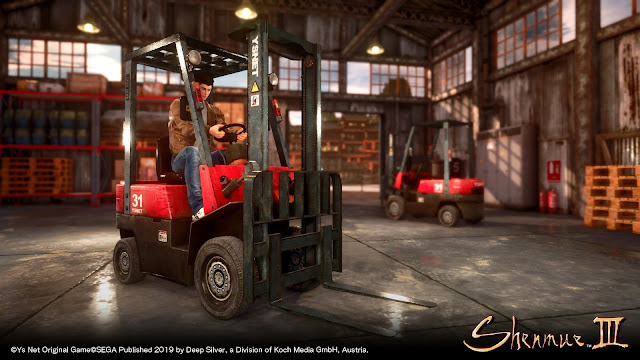 Q: Today I'd like to ask you about the state of development of Shenmue III. YS: (preempting this reporter's attempt) Well, why don't we start off by watching the trailer together. And I think it will make things easier to understand and talk about if we do so after also watching some footage of actual gameplay, which I wasn't completely able to show to the media at Monaco. (Suzuki, operating the laptop himself, starts the video). Q: Right from the start of the video, that's a ferocious-looking character making an appearance. Q: I see! [laughs] There are also combat scenes where the protagonist, Ryo Hazuki, fights young women and men. YS: I'm able to reveal fighting scenes after negotiating quite a bit with the publisher, Deep Silver, to let me show some. And even so, this footage is pruned down quite a lot from what I had originally. YS: And now, let me show you some non-public footage. This is actual gameplay footage from the opening part of the game. A cave is displayed on the monitor. A giant Phoenix mirror is carved into a wall. Q: Is this the location from the ending of Shenmue II? 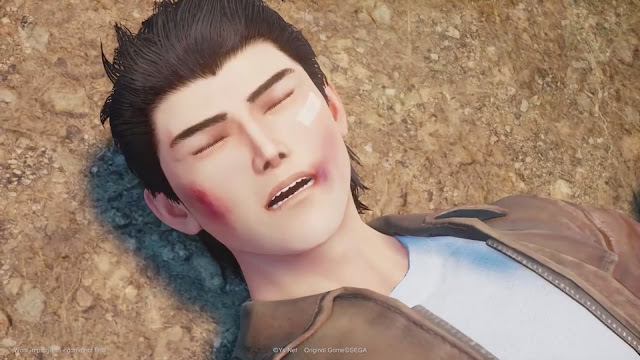 YS: Yes, Shenmue III's story begins straight after the ending of Shenmue II. This is the opening. YS: After that, the game begins from Bailu village. Q: It's a very beautiful place, isn't it. YS: This is near the entrance to Bailu village. It's just after 7:15 am, after rain has fallen. Ryo walks through Bailu village after rainfall. In the village are small shops, in front of which are things such as a banner advertising "Part-Time Worker Wanted" and capsule toy machines. The village has a lively atmosphere, with children practicing martial arts. YS: In Shenmue III, carrying out actions will make you hungry, so you can buy food at shops. Q: Wow, there's even a clump of garlic. YS: In this game, you have energy, which is sort of like your HP. You can restore your energy by eating various types of food. Q: Oh, there are some capsule machines placed there too. YS: If you collect a full set of capsule toys, you can sell the set for a high price, or exchange it for a Skill Book and so on. There are a lot of different connections between game elements. By the way, at this part now the quest is to "Find the man with a scar on his face," and we're speaking to villagers to move the story forward. After advancing further in the quest, a fight starts with a man from the village. YS: In combat, your strongest moves are set automatically, and they can be carried out with simple button commands. Even in the case of beginner players, moves can be unleashed using shortcuts, so that mashing buttons should get them by eventually. I think that for beginners, carrying out a special move with a complicated button command would be beyond their reach, so I've built it such that simple commands can be used to play. Q: Is it also possible to fight using the same method we've used up until now? YS: Yes, you can, of course. Oh, now Ryo's performing a Tornado Kick. Q: Ooh, that's the move Tom from the hotdog truck taught us in Shenmue I.
YS: However, in Shenmue III nage-waza [throw moves] are gone. The tachi-waza* and dageki-waza* all allow for reading each other's moves and have strengths relative to each other. Ryo is defeated by the man from the village. Q: We lost, didn't we. YS: We used up our energy in the fight now, so we've replenished it by eating food. Ryo makes his way to a Dojo that looks like a 5-storied pagoda from the outside. It would appear that this is where he can train. YS: The man we just fought told us "Come back when you're ready," so we've come to train at the village Dojo. On this wall the nameplate of that man was posted up in the section for "2nd dan [rank]." Ryo won't be able to beat him unless he reaches around the same level. That's our aim. We were beaten, so we're going to darn well train and get strong! That's the kind of situation. Q: So then, Ryo's nameplate will also be hung up on the wall, and we'll gradually improve his rank. YS: You can participate in matches here. There are monks* at several levels, so if you beat a monk your rank will increase to match his. So you can test how strong you are level. There are two types of practice: one with a wooden dummy and the other against a human opponent. *monk: as used here, it refers to monks that practice martial arts. Q: So in Shenmue 3, you train with a wooden dummy. YS: With wooden-dummy practice, mainly you increase your stamina. It's like your physical fitness: the English display uses the word "endurance". The other type is Sanda [Chinese boxing] sparring with a partner. Through that, you increase your attack power. Your total power, from combining both your endurance and the attack power of your skills, is your Kung Fu. Note from Switch: the section of UI shown in the image below (from Yu Suzuki's talk at the Reboot Develop conference), illustrates the relationship between Attack, Endurance and Kung Fu. Near a stream somewhere on the outskirts of the village is an amusement area divided into several sections. Passing beneath the gate, there are various forms of gambling available, including "Lucky Hit". YS: Here you can exchange money for tokens that you can use to gamble. Once you have increased your tokens, you take them to a Prize Exchange and swap them for prizes. Those prizes can be exchanged for money at a pawn shop. A pawn shop (left) and Prize Exchange (right). 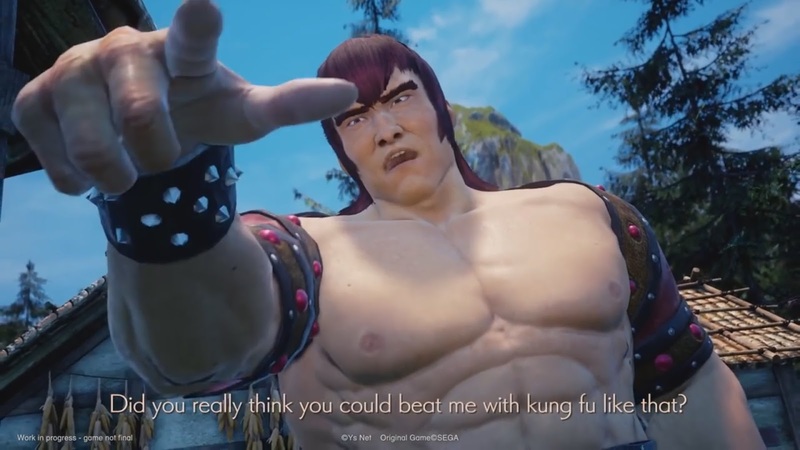 Screen shot from Yu Suzuki's Reboot Develop event presentation. 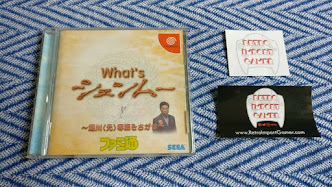 Q: In Shenmue 2 you were able to gamble for money; what is the reason for the change? In one corner of the amusement area, 5 or so turtles are lined up, and some kind of custom race course has been set up which consists of things such as a small stream and a tunnel. Q: This is a new element: it's "Turtle Racing", isn't it. YS: When the turtles start racing, if you press the indicated buttons correctly, you can cheer one on. The turtle will flash and speed up a bit. But if you press the wrong buttons, it will slow down! On the screen, the turtle runs valiantly as another comes up alongside. Q: Oh, he'll be overtaken, he'll be overtaken! YS: So if you cheer as hard as you can, the chances of your turtle winning will be slightly raised. But things won't always go your way, no matter how hard you cheer. Q: How did you come up with the idea of Turtle Racing? Is it something that actually exists locally? Q: It wouldn't be Shenmue without part-time jobs! The screen changes: Ryo picks up some pieces of wood and starts splitting them with a large ax, one by one. It appears that by timing the button presses well, he is able to chop up the wood continuously. Q: Will this wood-chopping be an orthodox kind of part-time job? The background music is gradually starting to change, isn't it. YS: You could call it the "fever mode". If you strike it right on center, you can go on to the next step. If you keep it in the best state, your effectiveness will increase. This is as far as I can show you now, but regarding part-time jobs I've brought along a special image to show all Famitsu readers! 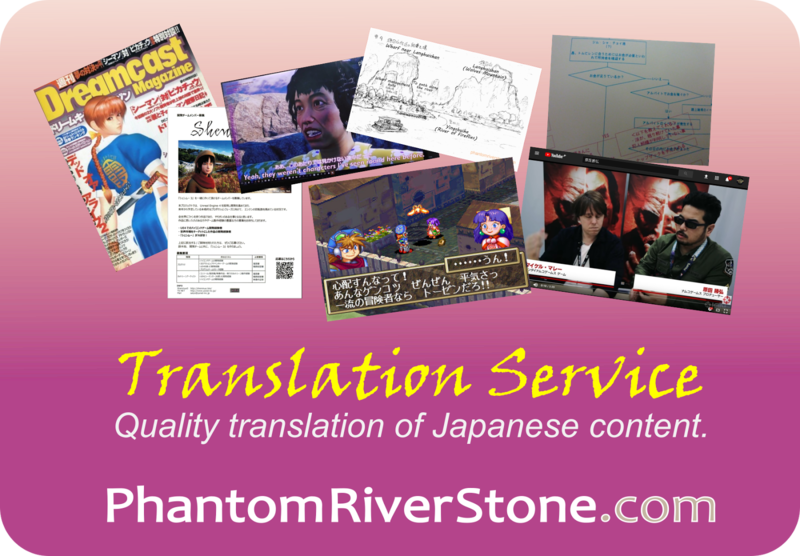 This completes our translation of the article.